These 100% natural aromatherapy and herbal heat products are hand-crafted to provide you with comfort and quality. The herbal wraps are both beautiful and soothing for tense muscles. Enjoy the comfort of a specific targeted blend of 12 herbs with true aromatherapy benefits that are increased when heated in the microwave. 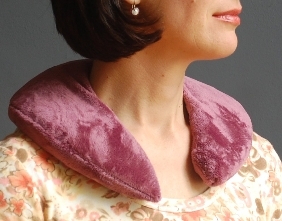 Designed to fit the contours of the neck, this herbal neck wrap stays in place while walking, standing or sitting. 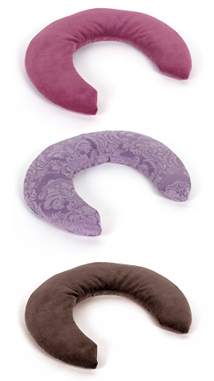 Best when used heated to relax the neck and shoulders, a common area for muscular tension and stiffness. Makes an excellent gift!